Organizations may believe that simply building new applications to keep up with changing business needs is enough to offer new value to the market. However, between building new applications and maintaining legacy Java EE applications, organizations often end up supporting both traditional and new infrastructures with unchanged or even reduced IT budgets. As the pressure to increase their technical and business agility increases, IT organizations are being forced to re-examine their processes and infrastructure. The result? Architecturally rigid, monolithic middleware is being replaced with solutions that offer agility, flexibility, and rapid development and deployment, such as PaaS. 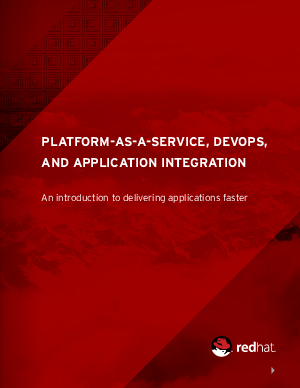 Download this eBook to find out more about PaaS and Red Hat’s approach.